Live Creating Yourself. : She's baaaaack. Wowza! I nearly forgot to mention that the new issue of Lonny Mag is up today! 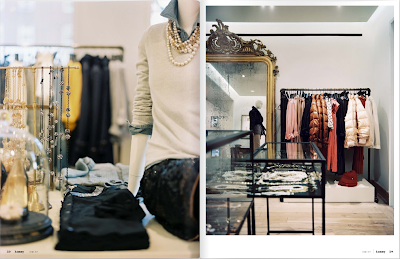 Check out my favorite feature on J.Crew's new "Collection Store" in Manhattan's Upper East Side (p. 56). Creative Director Jenna Lyons herself played a huge role in the store's design, which looks much more boutique-y and less "for the masses."